I just realized something, and it's something you may not believe based on the number of stuffed pepper recipes on this blog. I really don't like stuffed peppers. Yep, it's true! Now, don't get me wrong; I love the recipes I post here. What I hate are the "typical" stuffed pepper recipes. You may notice that I never use green peppers. And I never will. Blech! 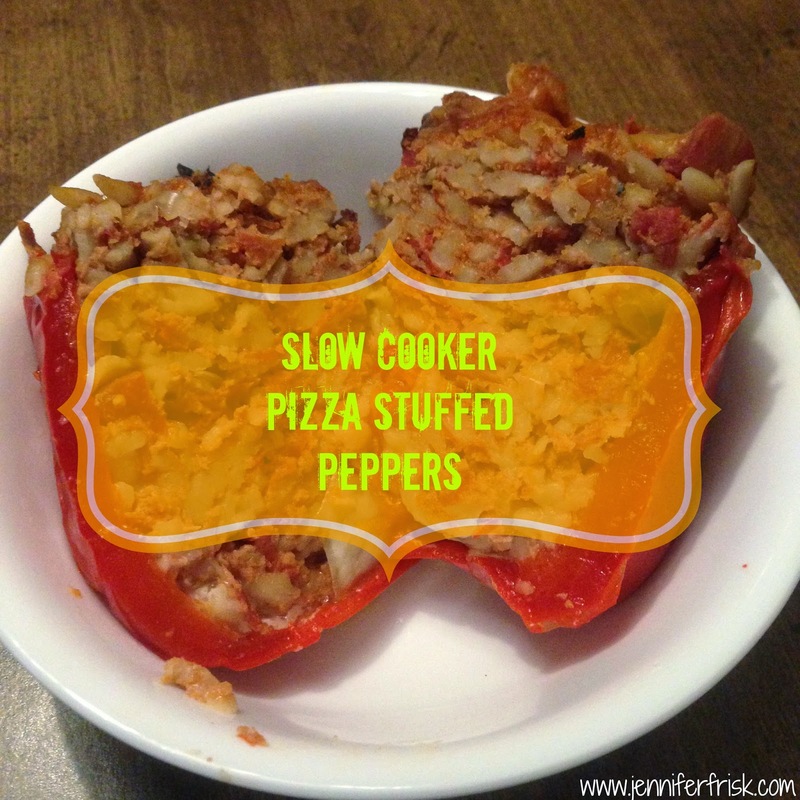 Also, you may have noticed that I have never posted a "normal" stuffed pepper recipe. I have never liked that whole meatloaf-in-a-pepper thing. So why so many pepper recipes on this blog? Because I love the IDEA of stuffed peppers. As in, a complete meal portioned out in a pretty veggie. Carb, protein, and vegetable all in one handy little package. So, I post a bunch of pepper recipes in the hopes that you, too, like the idea of stuffed peppers but maybe you're looking for a little more flavor? Today I bring you PIZZA in a pepper! Sound good? Let's get to it! Remove seeds and tops from peppers. Stand upright in a ~6-7 quart slow cooker. Evenly divide meat mixture among peppers. For all you 21 Day Fixers, each pepper counts as 1 green, 1 yellow, 1 blue, and 1 red.